Welcome to today’s Facebook Live replay. My new Moody Monday series kicked off today with a video using All Adorned with Gorgeous Grape. At least that was supposed to be the colour, but as you can see, in the video, I had a spot of trouble with my lights!! No idea what was going on today, but nothing I did could get me a true Grape colour. This is what it is supposed to look like!! Check it out for yourself! 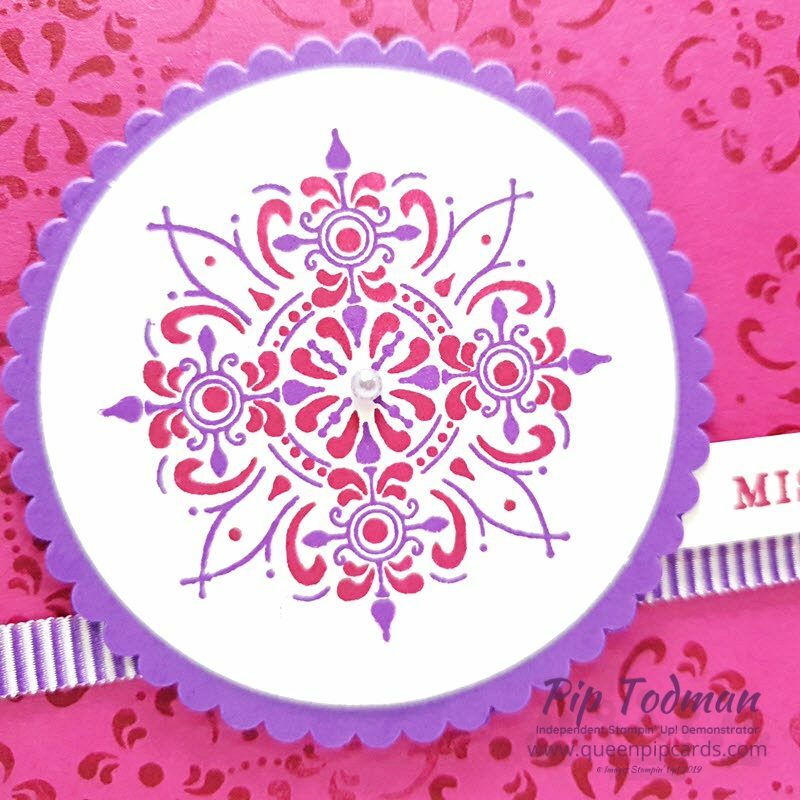 The new All Adorned stamp set is FREE with a £45 order, plus I give you a sneak peek of some NEW products launching later this week! What do you think? Don’t you LOVE the mosaic pattern. Modern and funky at the same time I think. Especially in this colour way. I hope you liked today’s Monday Moody Pick Me Up project. If so, come back again on Tuesday, Wednesday & Thursday every week for more inspiration from me! Don’t forget the Host Code FMG9GJCH with your online orders (see simply stunning giveaways below) and why not think about joining Stampin’ Up! and my amazing Royal Stampers?